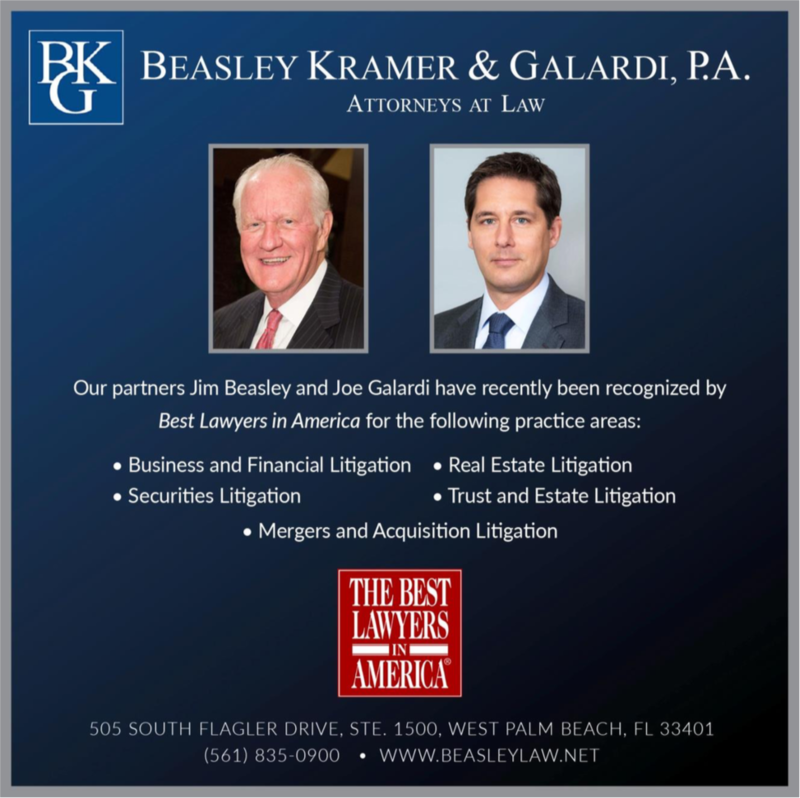 Best Lawyers 2017 | Beasley & Galardi, P.A. Our firm is pleased to announce that Best Lawyers in America recently selected Jim Beasley and Joe Galardi for inclusion in its 24th annual edition. Best Lawyers recognized Jim for his litigation work in the fields of Baking and Finance, Mergers and Acquisitions, Real Estate, Securities and Trust Estates. Jim is one of about 1,000 lawyers nationwide that have been listed in Best Lawyers every year since its first edition in 1983. Joe Galardi’s practice focuses on complex business and financial litigation, including contracts, breach of fiduciary duty, securities, partnership disputes and professional malpractice. Joe represents clients in federal and state courts, arbitrations and appeals.